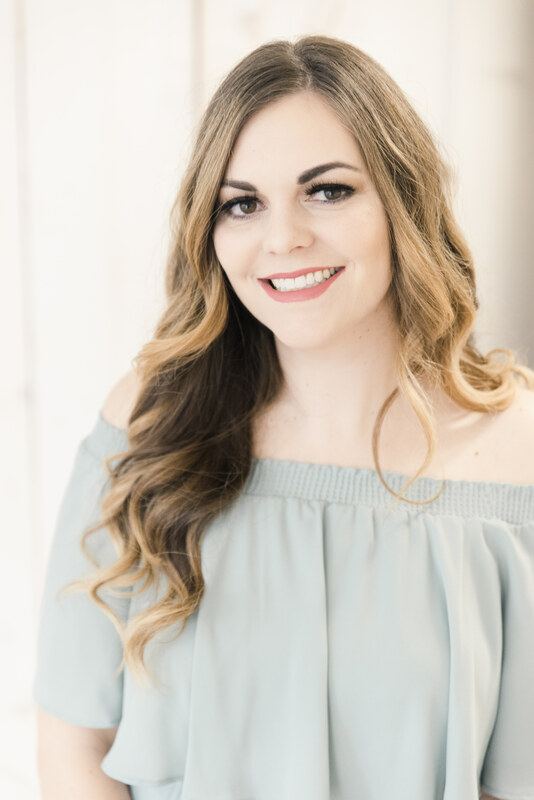 I’m super into green beauty and I love to try new products. 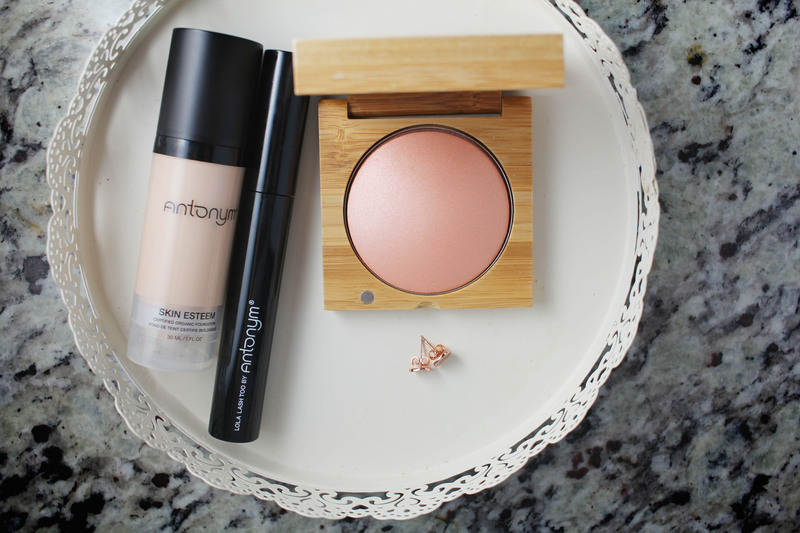 I noticed Antonym Cosmetics just hit Sephora and it’s really been on my radar lately. 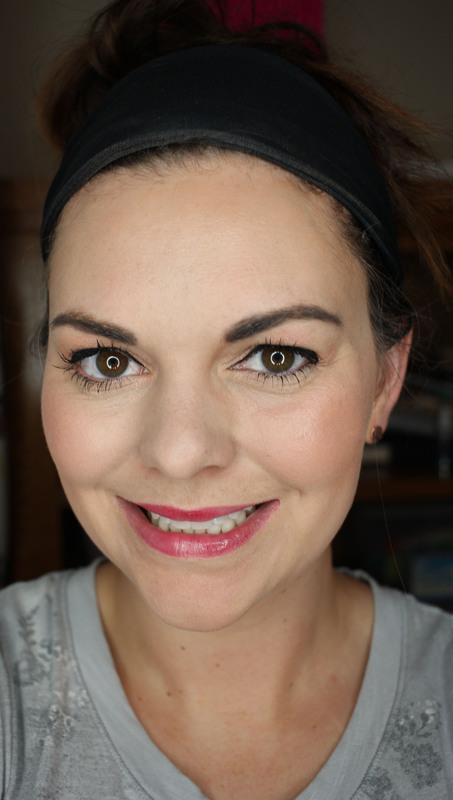 I had the chance to test out three products from them. Check out my thoughts! First, the Skin Esteem Organic Liquid Foundation. I’ll admit I haven’t had the best luck with natural foundations. 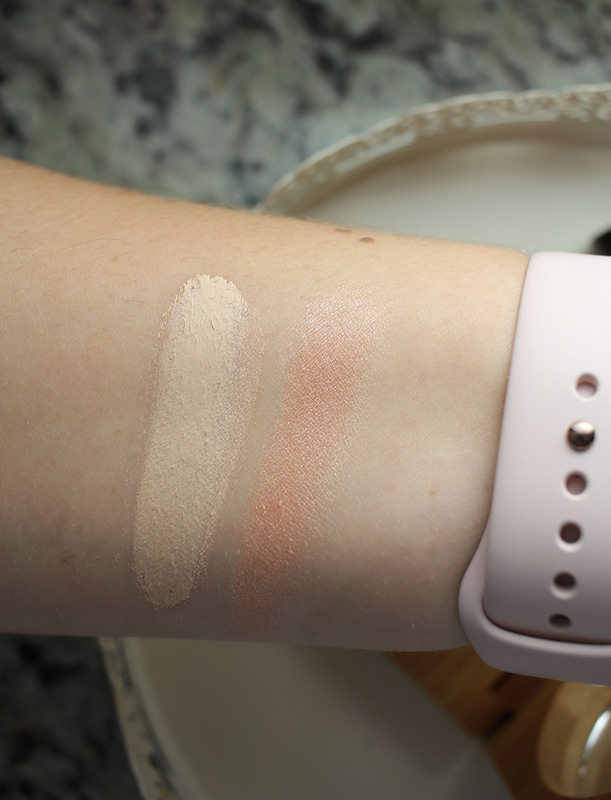 I am really picky about my foundation, and I like to have a bit of coverage, I like hydration, and I want the formula to feel nice on my dry skin. I find a lot of more natural and organic ingredients to be drying to my skin and cling to dry patches. I didn’t experience any of that with this formula! Skin Esteem has medium coverage which was a pleasant surprise. It definitely has nice buildable coverage. The formula is matte but doesn’t cling very much to dry patches. I should say, you really need to make sure and moisturize well before using this if you want it to look soft and not patchy. But it’s workable if you play a little bit on well moisturized and primed skin. I used 2-3 pumps overall to get the finish I wanted and used a damp beauty blender to blend everything into my skin. One thing I have noticed about a lot of natural and organic foundations is that you have to be careful with application. If you rub them in with your hands, it can “roll off” and ball up a little bit. I did have this happen with this foundation but I found that rather than using my hands to rub it in, if I applied it with more of a patting motion and then bounced the damp beauty blender over my face, this didn’t happen. I didn’t feel a need to set this with powder because it already seemed to set itself to a matte sheen. I did add a little bit of my favorite concealer under my eyes and around my nose. 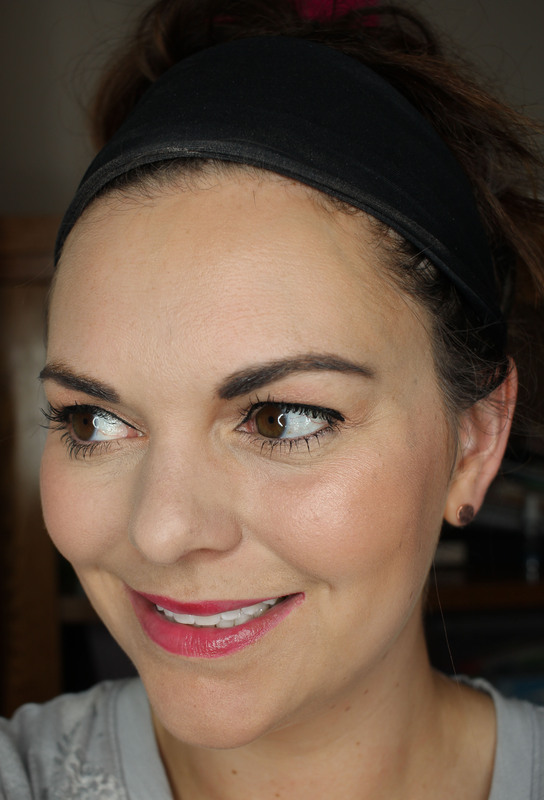 All in all, I really like this foundation for a more natural option. At $52 it’s not exactly a steal, but if you’re in the market for a green beauty foundation, you already know that the good ones are expensive. Beige Light is my shade and I think it’s a great shade match for me. It wore pretty well during the day for about 6 hours. 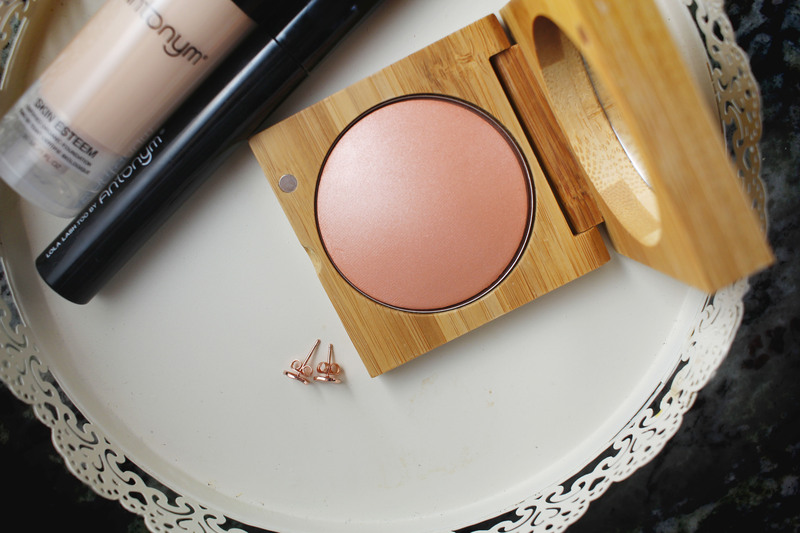 Next up is the Organic Certified Highlighting Blush. This is probably my favorite product of the bunch. I love a good highlighter! This is technically a highlighting blush. It’s so pretty and has just a hint of subtle peachy pink that looks very flattering on my fair skin. By itself, it gives me just a slight boost in color; enough to make me look healthy. I love the shine of the highlighter though and it’s so natural and gives such a pretty glow. It’s the one I reach for most every day now that I have tried it. The packaging is so pretty too and looks very eco-chic. I wear this by itself if I’m doing minimal makeup, but I’ve also layered it over a more pigmented blush too for a pretty flush with some glow. 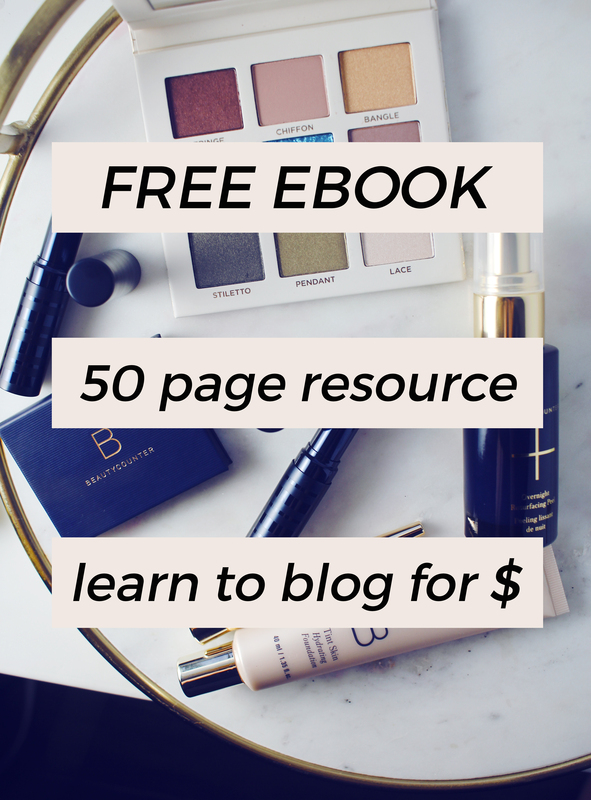 It’s definitely something you will want to get your hands on if you have an appreciation for pretty highlighters and you’re into green beauty. At $42 it’s not cheap, but I’d put it up there in quality, cute packaging, and love with other high end brands that are charging the same. 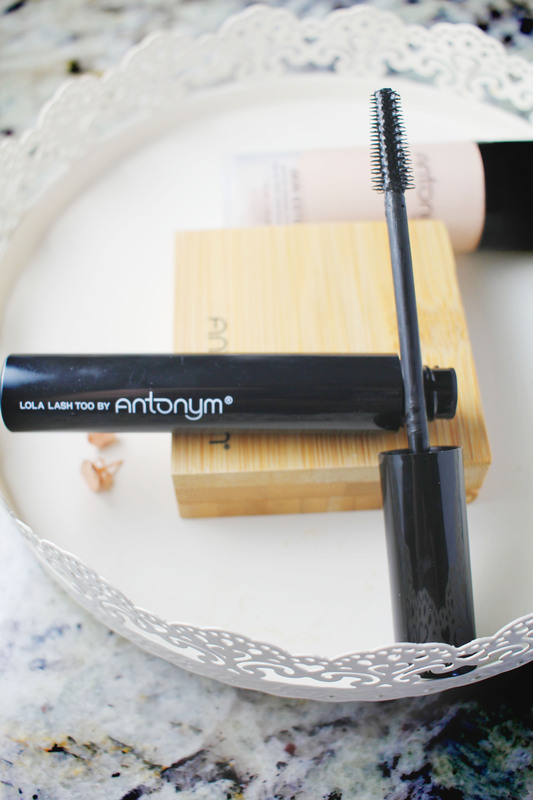 Lastly, I tried the Lola Lash Too Organic Certified Mascara. I haven’t tried very many green beauty mascaras because I’m never really hearing good things about them! For that reason, I didn’t have high expectations for this one going into it, but I was pleasantly surprised. I really like the brush on this, because I’m able to work into the base of my lashes with no problem. The formula really seems to make my lashes soft which is an unexpected bonus. I love how my lashes feel when I wear this, and even when I take it off! Some mascaras make my lashes really crispy and is hard to remove. This one is really easy to remove with a tiny bit of coconut oil or makeup remover. What does it do for my lashes though? I love voluminous, long lashes. This mascara gives me crazy length for miles. And clean length too! I don’t have clumps of lashes glued together funny. I love the shape of my lashes when I wear this. It does not do much for me in terms of volume though. Nothing that can’t be solved with a little lash curling action, but I wish it did both! 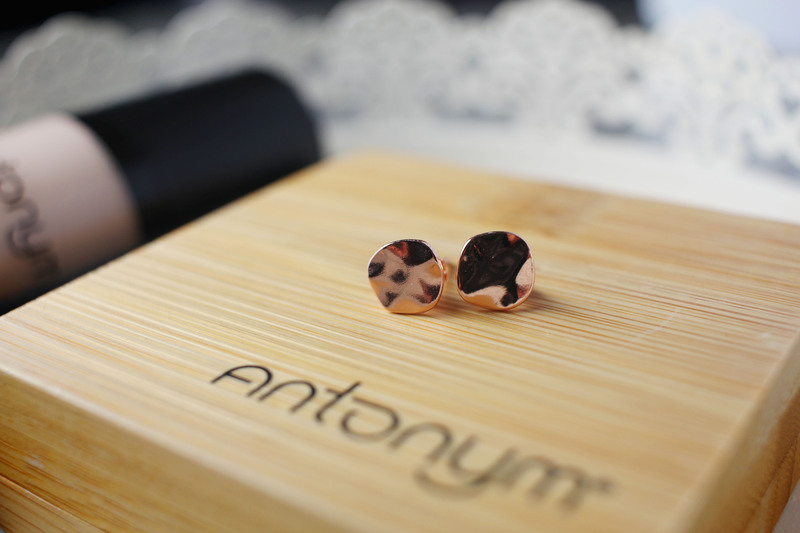 I really enjoy these products by Antonym Cosmetics! I don’t think you can go wrong with any of the three things I tried. I’m wearing all three of the beauty products in the pictures above and I love how fresh and simple my makeup looks! Have you tried any of these products? What did you think? What’s your favorite green beauty line? Love that blush! I think it would make a great addition to my collection. The mascara looks nice and the foundation is a great shade for you.